• Redemption can only be made at the Odex booth at Animax Carnival, Mid Valley Exhibition Centre (Level 3, Mid Valley Megamall). • Strictly no redemption at the cinemas. 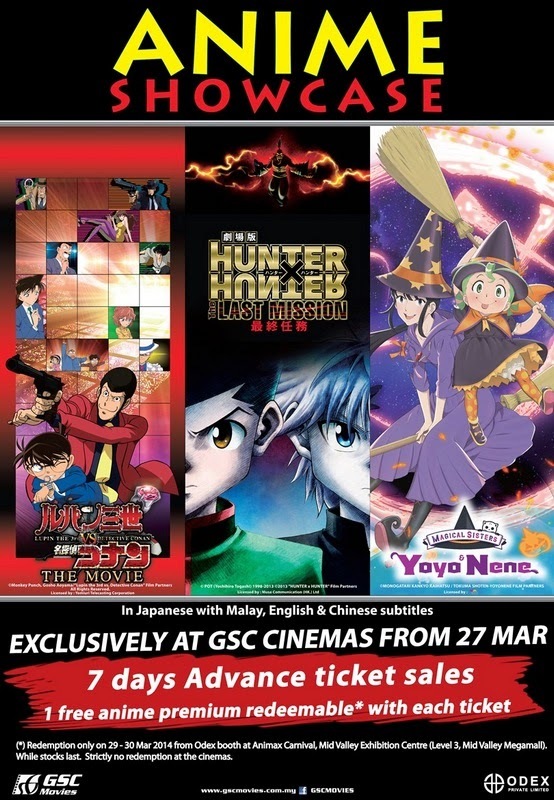 • Valid for tickets purchase via any GSC box office, online or GSC mobile app.